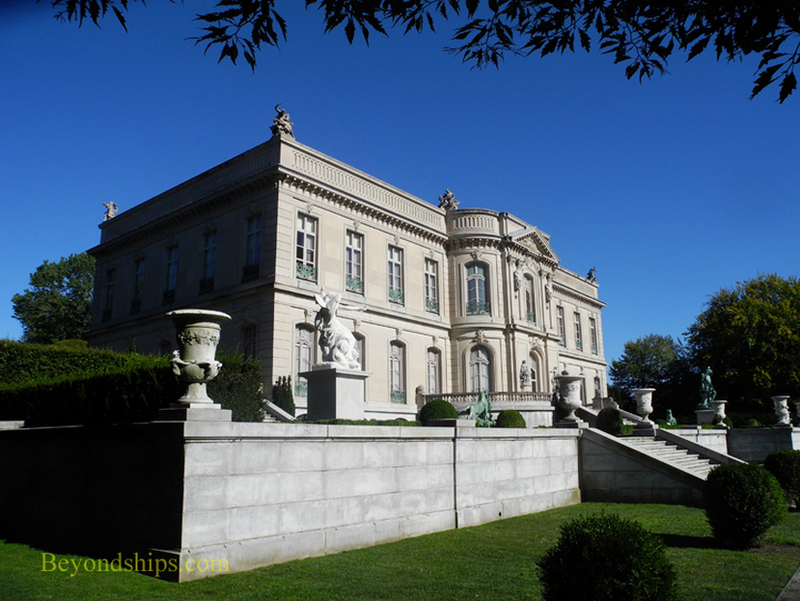 The Elms is another extraordinary mansion and another National Historic Landmark. Edward Julius Berwind made a fortune in the Pennsylvania coal industry and became one of the most influential Americans of his day with friends like Theodore Roosevelt and Kaiser Wilhem II of Germany. 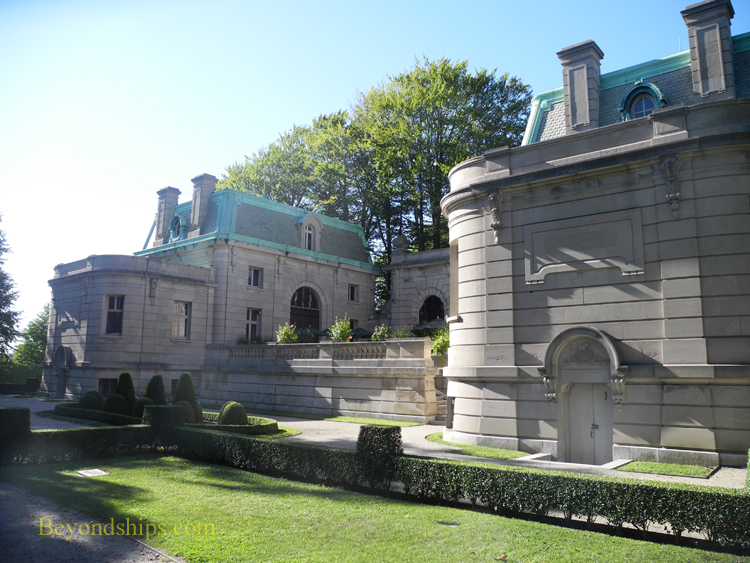 Like the rest of the Gilded Age society, his family spent the summers in Newport. just visually impressive but was considered by contemporaries as remarkable for the magical way it seemed to operate - - albeit with 40 servants. Today, The Elms is still grand. Its clean classical lines, embellished with the occasional statue, speak of confidence. Inside, the grand staircase, the ballroom and other double height rooms combined with the Venetian paintings, tapestries and Chinese lacquer panels underscore the grandeur. It is almost inconceivable that all this belonged not to some heriditary duke but rather to someone who rose up from a middle-class German imigrant family. 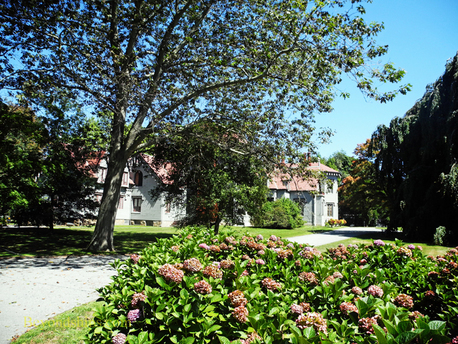 The front entrance to the Elms is set not far from Bellevue Avenue. But in the back, the house overlooks a sweeping, well-manicured lawn. 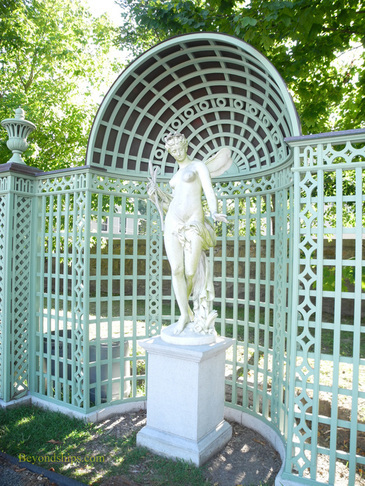 Follow the paths that surround it and you will see elaborate out-buildings, statues, fountains and a beautiful sunken garden, which has been recently restored by the Preservation Society. By comparison, a much more modest structure but a mansion nonetheless, the Issac Bell House is also a National Historic Landmark. Bell was a successful cotton broker and investor. His brother-in-law was James Gordon Bennett Jr., publisher of the New York Herald. 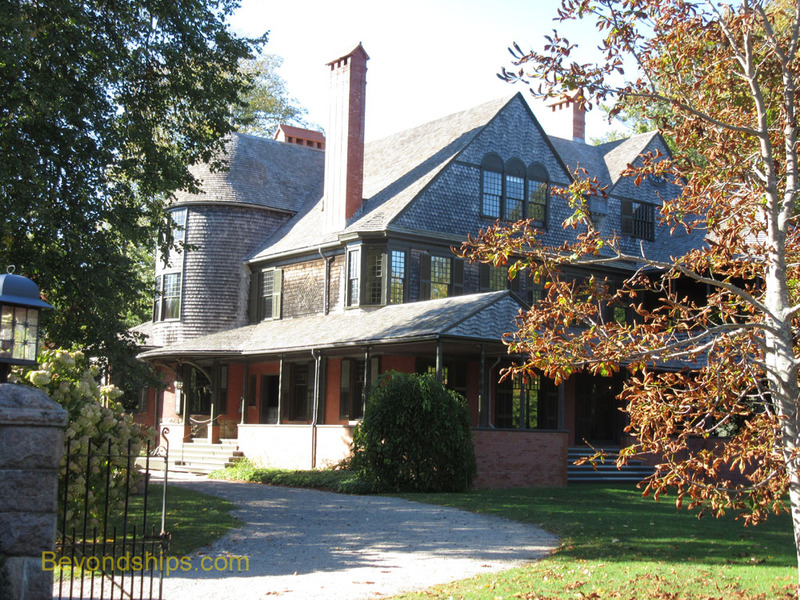 In 1883, Bell commissioned the prestigous New York architectural firm McKim, Mead and White to design a summer cottage for him in Newport. 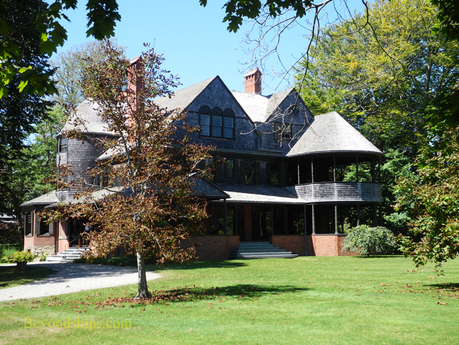 The result was a wooden structure that is considered one of the best examples of Shingle Style architecture in the United States. This style is so named because of the use of unpianted wooden shingles on the exterior of the house. The house is also considered noteworthy because of its incorporation of elements of Asian architecture into the design such as bambo columns on the porch. 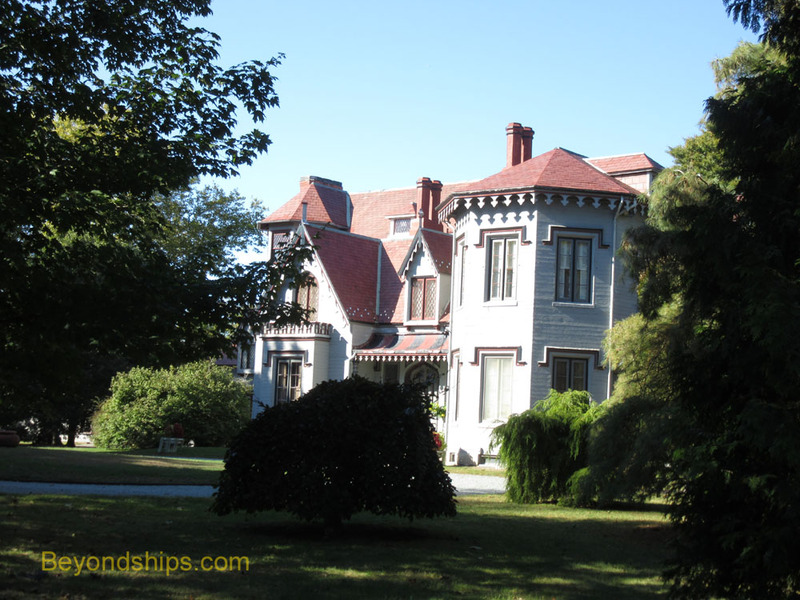 One of the first Newport Cottages, Kingscote is the first mansion open to the public that you come to if you are approaching the Bellevue Historic District from Newport's shopping district. The house was begun in 1839 by George Noble Jones, a southern plantation owner, who came to Newport each year to avoid the heat back home. His architect was Richard Upjohn who produced a Gothic Revival style house.